To me a film should be like fine cuisine. If you just throw any mixture of ingredients into the pan, cook them for an uncertain amount of time and serve it all up with any available sides and wine, then it might taste just fine. But real culinary perfection is when everything is married in a perfect blend of subtly. Each ingredient has been purposefully selected, reasonably applied and has been carved and cooked to achieve optimum sensory potential. In these instances where quality is more important than quantity, you get the most sublime outcome. In film it should be the same. Too often the various elements of film, ingredients if you will, are tossed around too boldly and with careless selection. The holistic piece is clumsy as a result; crafted and served in order to create entertainment rather than artistic skill and value. But Burnt, wasn’t like that, and even although it may not be the most noticed or successful film of 2015, its quiet tastes perhaps render it an oddly sophisticated film. 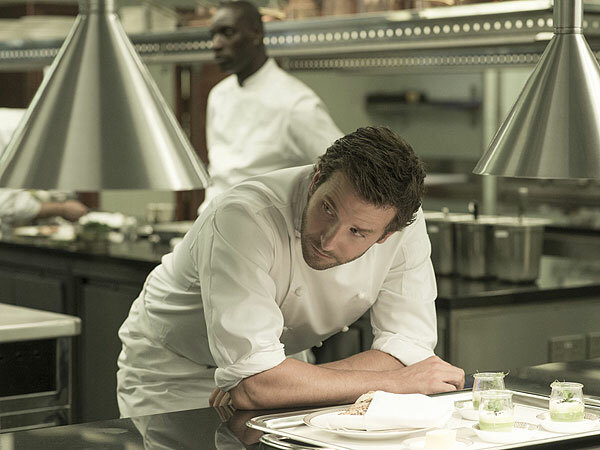 The film follows Adam Jones, (Bradley Cooper), a once popular chef who turned to drink and drugs and soon lost his famous position as Paris’s top culinary dog, becoming estranged from his friends, colleagues and loyal mentor. But a couple of years on, Adam is determined to make things right again and after doing penance in a remote town in the USA, he heads to London to rekindle the fire of his career and get cooking again. Adam works his charm and soon elicits his old friend, Tony’s (Daniel Brühl), help and together they transform Tony’s restaurant, and Adam gets everything from the knives to the chives out, ready to fry up a masterpiece. But things aren’t quite as easy as Adam had anticipated. He imaged fame and fortune and masses of expectant fans lining up to taste his world-class dishes. It turns out that the climb back to success isn’t easy, but determined Adam fights his way back to the top. On the way he comes head to head with other egotistic chefs such as Reece, (Matthew Rhys), and tries to win the support of new colleagues such as David, (Sam Keeley), despite his ferocious temper. However, the personal battle isn’t easy for Adam as he continues to struggle with his past. He clearly has trust issues and is finds it difficult to navigate around his feelings for fellow chef, Helene, (Sienna Miller). It is a long and difficult road full of burns and scars, but slowly and surely, Adam gains his self-control and confidence and gets his life back on track. He learns to forgive and be forgiven, and to lean on the support and wisdom of friends old and new. The simple narrative is refreshing and calm, making one feel more able to relax and pay attention to the mellow but purposeful elements of the film. In addition, the personal and emotional conflict between the various characters feels originally authentic and is aided by beautiful scripting and naturalistic acting. The cinematography isn’t attention seeking, which is suitable for a film like this, yet the combination of hand held cameras, as well as, panning and Dutch shots, helps to add to the tone of the varying scnenes. As previously noted, Burnt may not be the most exciting, stunning or indeed adventurous film of 2015. It doesn’t have any fast cars, explosions, robots, overly soppy love scenes or sci-fi qualities. However, it is just like an expertly prepared plate of fine cuisine-subtle and delicately but delightfully flavoured.